High frequency transformer isolation is the main feature of our production, which make Installation easier due to the reduced weight and higher conversion effciency because of omitting Low frequency transformer. The wide input voltage range from 180 to 600volt gives you extraordinary fexibility for you system design. Not need to set graphic display and RS485 communication system make the devices highly user-friendly. 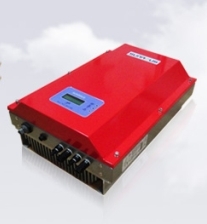 This product can by multi-level parallel combination for 6kw to 20kw needed any power grade HF series technical parameter.